Behold Yondeer Moon Thar Maties! In this the calendar has made for us a grand opportunity for fun and science. Whichever be yer preference! Sail wherever the winds take ye! The Moon has watched over many a pirate tale through the ages. How else can ye watch pirates partying by night except under moonlight? Well, this night the partiers will be gaukin’ back at ‘im! 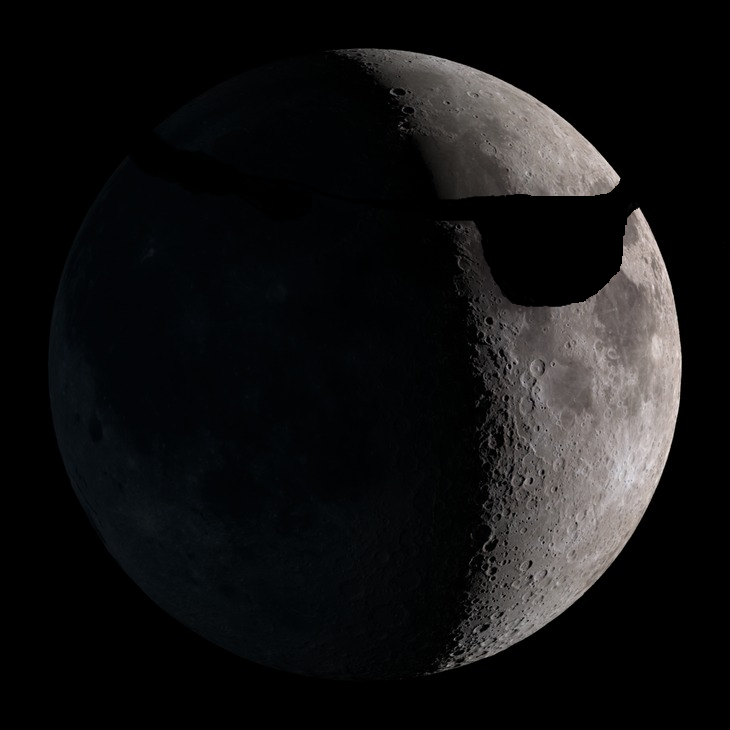 The Moon be best observed by scope at a quarter phase, as the shadows highlight ‘is features and ‘is brightness doesn’t bedazzle ye. This year it looks like Luna will not quite be cruisin’ at a quarter-sail, but close enough! Don’t miss this chance to make memries with the young folk who will take up the watch when the rest of us go to visit Davy Jones. Yer ten year olds might even be among the first to sail back to ‘im some day! Those’ll be glorious times indeed! ~ by Bill Housley on September 19, 2015.